Image of the Pattern-fed Offset Cassegrain reflector. 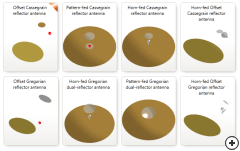 The Pattern-fed Offset Cassegrain reflector is the 8th dual-reflector included in Antenna Magus and the 4th Cassegrain-type reflector antenna template. Dual-reflectors are compact and offer a lot of design flexibility though they are more complex to design and manufacture than single reflector antennas. Sub reflector shaping can be used to increase the focus-depth or to optimise illumination for an existing feed antenna and main reflector. 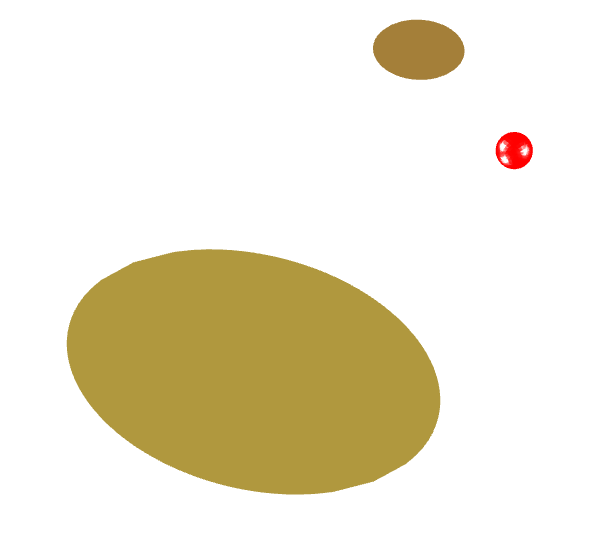 By using a dual reflector with an offset feed, aperture blockage can be decreased and mounting on a flat or rotating platform is simplified. 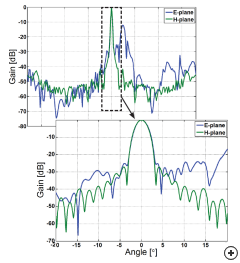 There are however some factors like spill over, radiation pattern asymmetry, feed/sub and main-reflector alignment and other manufacturing complexities that have to be considered when choosing an offset-fed dual reflector topology. 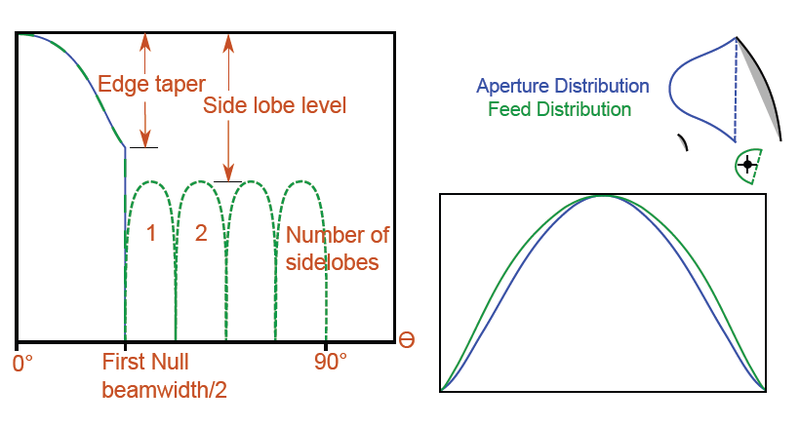 When compared with the Horn-fed Offset Cassegrain, the pattern-fed option reduces simulation time and complexity and makes provision for designs based on feed properties such as feed beamwidth, edge taper and feed distribution efficiency as illustrated below. 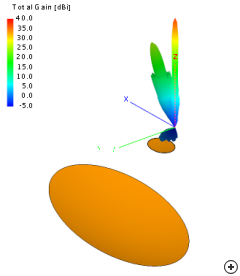 Properties of any existing feed antenna can be approximated using the pattern-feed approach, or the desired radiation pattern properties of an ideal feed antenna can be determined based on the reflector design. Though a physical feed antenna is not included in the pattern-fed design, approximate antenna dimensions are used to ensure that minimal blockage occurs. 3D radiation pattern of the Pattern-fed Offset Cassegrain. 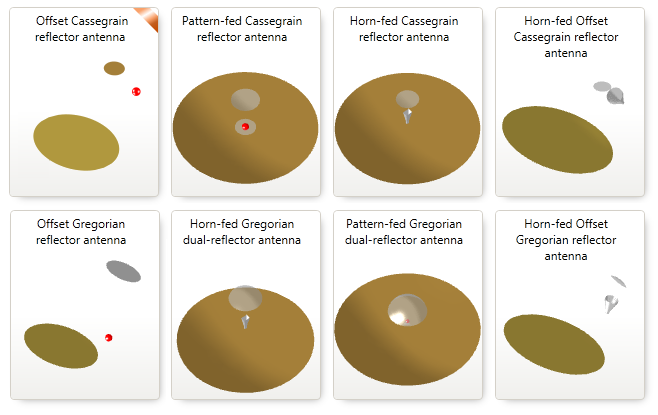 Summary of the dual reflector antennas in Antenna Magus. 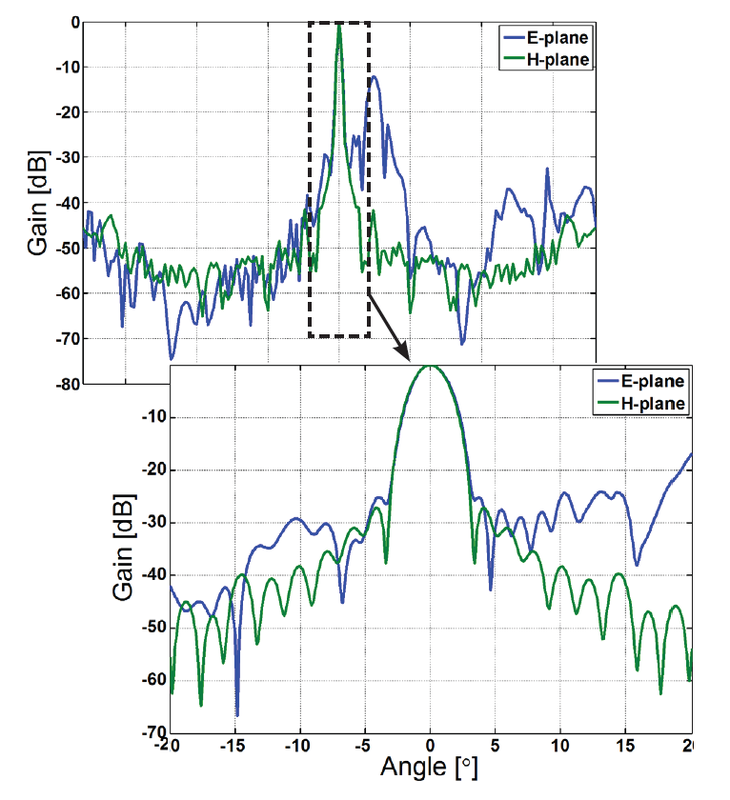 Feed antenna pattern properties accounted for by Antenna Magus when designing the Pattern-fed Offset Cassegrain reflector. Normalised radiation pattern of the Pattern-fed Offset Cassegrain dual reflector.